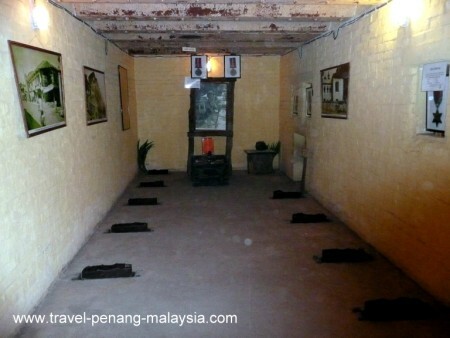 Some Penang War Museum Photos for you to view to help you decide if you would like to put the museum on your list of places to see in Penang. 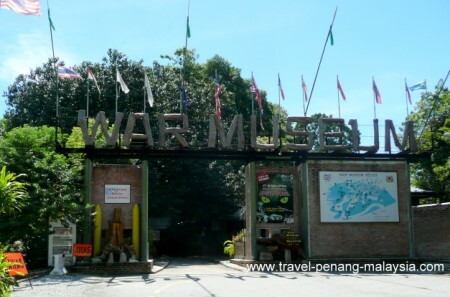 It is an interesting place to visit in Penang Island, but a little out of the way if you do not have your own transport. 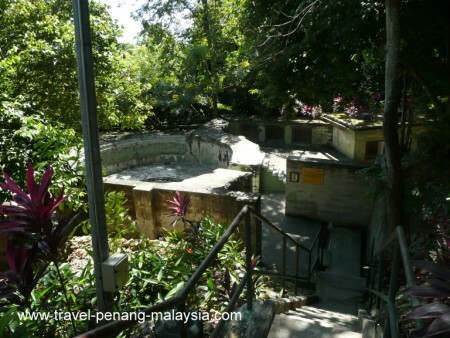 The entrance to the War Museum in Bukit Batu Maung, Penang Island, located at the top of a small hill, just off the main road..
One of a number of Pill Boxes on the way up the hill to the entrance of the museum. 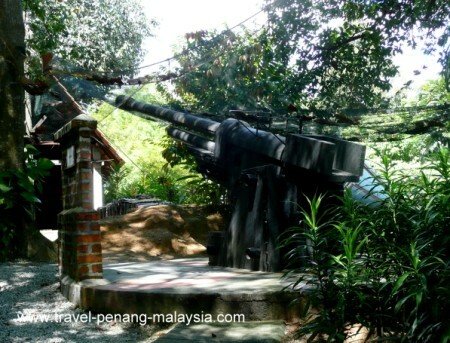 One of the old British army cannons looking out to sea over the Straits of Melaka. 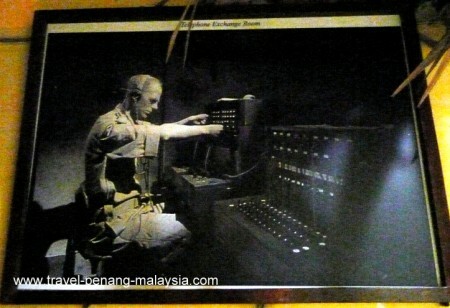 One of the underground bunkers where old army artefacts are on display. 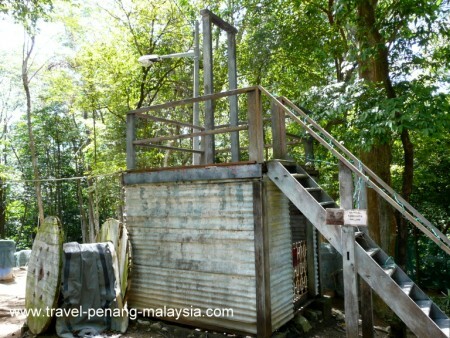 A replica of the gallows used to hang General Yamashita the commander of the Japanese 25th army that had conquered Malaya and Singapore during WWII. 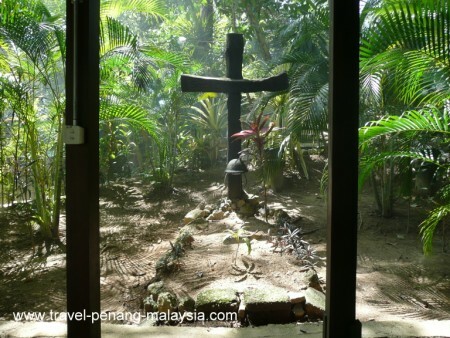 Photo showing how the jungle quickly takes over after the fort was abandoned. 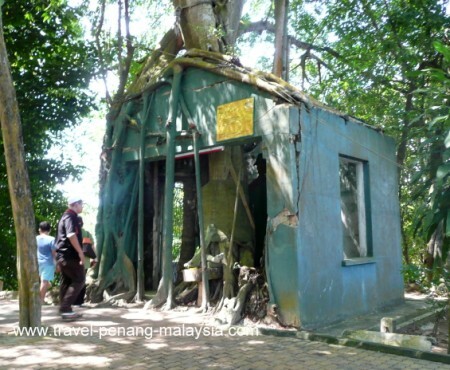 - A tree that has grown through the roof of one of the old buildings. A replica grave for Sgt John Wolf. 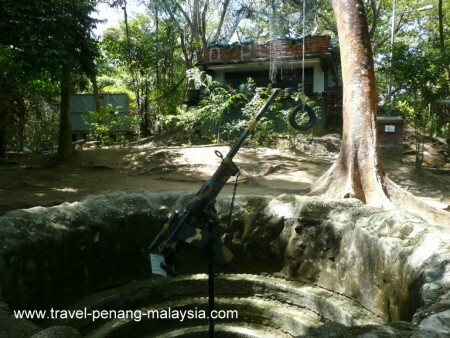 Machine gun pit, one of the fort defences against the threat of Japanese invasion. 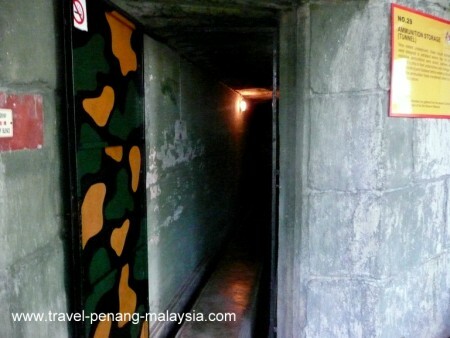 Tunnel leading to the ammunition storage bunkers that where located nine meters underground. Just one of the many tunnels you can explore at the museum. Follow the tunnels and you will come to many underground rooms. 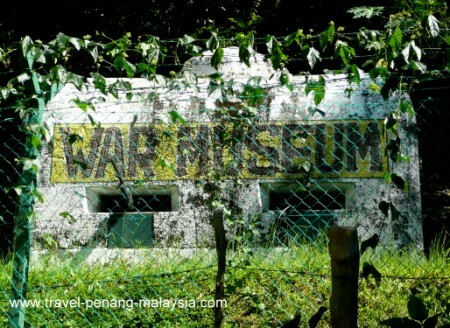 This is one of the ammunition storage bunkers. A large cannon bay looking out to sea on the side of the hill fortress. 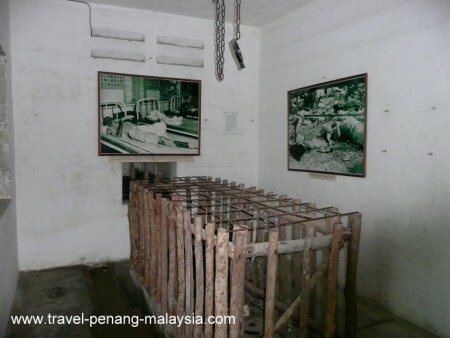 Cage used for punishment and torture of prisoners. 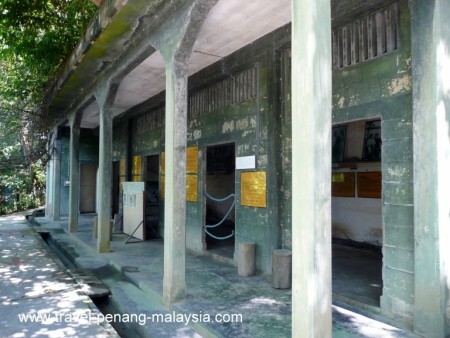 One of the many barrack blocks at the museum. 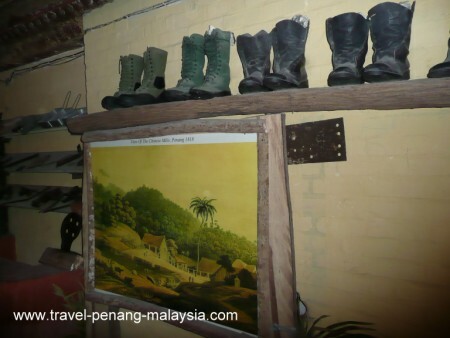 Most are filled with artefacts and old army photographs from the Japanese invasion of Penang during WW II. 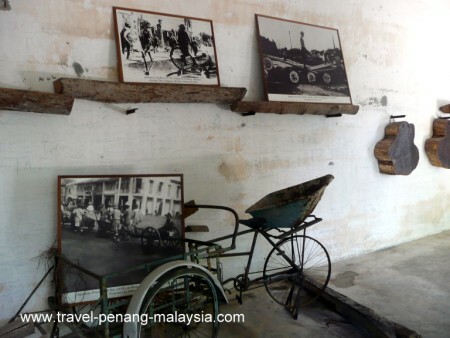 Old tricycle in one of the barrack buildings. 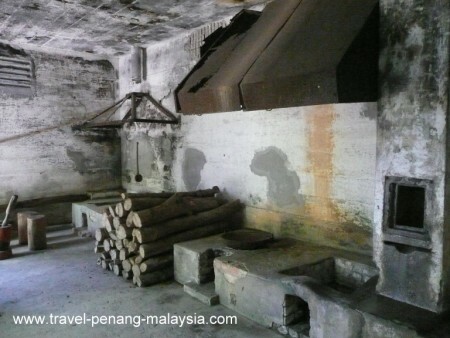 How one of the army kitchens would have looked in the British Army days. Old photo of a British Army radio operator. 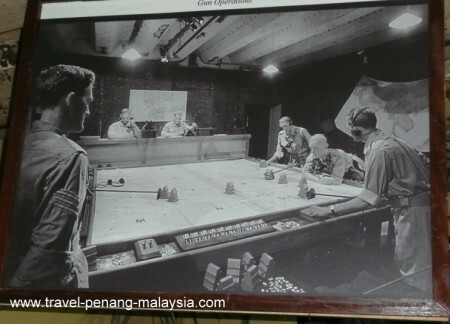 Old photo of a British Army command centre. 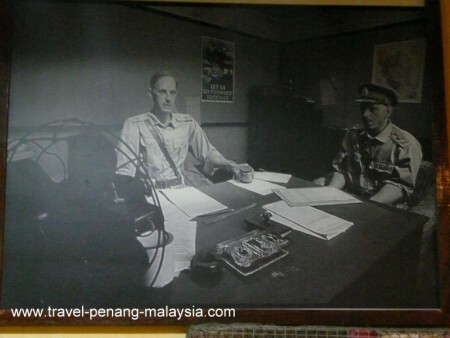 Old photo of a British army officers in their bunker office.